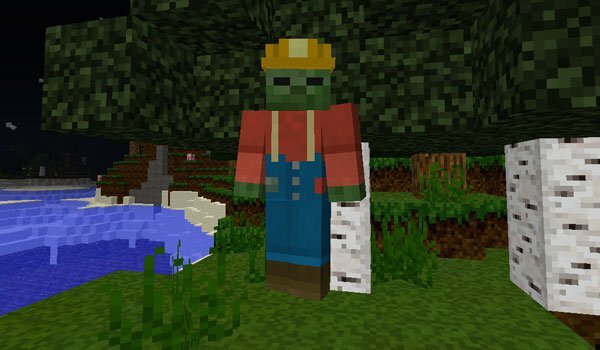 If you think Minecraft zombies are very monotonous, we bring you a mod that adds new variations of zombies to Minecraft. Mo ‘Zombies 1.7.2 and 1.7.10 addeds specifically 13 new classes to our Minecraft zombies. Some of them are “Zombie Notch”, “Zombie Miner”, “Zombie Cookie” and “Zombie Cyborg” among others. Beyond these new aesthetic change zombies, each has unique abilities as or greater attack, defense larger or smaller, faster, etc. The mod also adds a new zombie for the Nether, and a new character named “survivor” is a human who has managed to escape a zombie attack. How to install Mo’ Zombies Mod for Minecraft 1.7.2 and 1.7.10? 13 new zombies to Minecraft!